If your child lands in the hospital with an accidental injury, new research suggests you should watch for signs they may be struggling with what happened to them. But in general, the children’s diagnoses were consistent with a “stress response” to their experience, said senior researcher Dr. Julie Leonard, of Nationwide Children’s Hospital in Columbus, Ohio. The biggest increases were seen in “adjustment” disorders, behavioral disorders, sleep problems, eating disorders and learning difficulties. The findings, published May 7 in the Journal of Pediatrics, add to evidence tying kids’ physical injuries to mental health effects. But past studies, Leonard said, have largely focused on head injuries — which can sometimes cause problems through direct trauma to the brain. 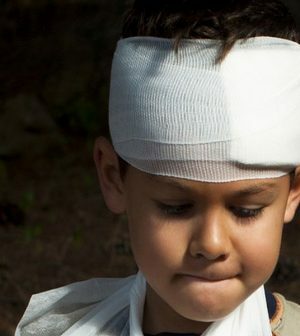 Kids with head injuries were anywhere from two to five times more likely to have a mental health diagnosis in the year after their injury, versus the prior year — depending on their age. Those odds also went up among young children who’d suffered burns. Kids younger than 5 were over eight times more likely to be diagnosed with a mental health problem after a burn injury. With children that young, Leonard said, there are no good ways of screening for mental health issues. “So we’re reliant on what parents tell us about their behavior,” she explained. It’s possible, Leonard said, that some kids had pre-existing mental health issues that were detected because families spent more time with health care providers after the injury. That’s likely, in fact, according to Reshma Naidoo, director of cognitive neuroscience at Nicklaus Children’s Hospital in Miami. The children in the study were all on Medicaid, she pointed out, and that’s an “underserved” group when it comes to health care. So, some kids might have been diagnosed because their parents had contact with providers who “asked the right questions,” Naidoo said. With burn injuries, Naidoo noted, the recovery can be very painful, and that could obviously affect children’s sleep, behavior and thinking. There are certain red flags parents can look for after a child has been hospitalized for an injury, according to Leonard. Those include sleep problems, trouble with schoolwork and “hypervigilance” — where children try to control everything in their environment and avoid situations that remind them of the injury. If a child does have mental health issues, that does not have to mean they’ll be given medication, Leonard stressed. “A lot of this can be directed not at the child, but the parents,” she explained. For example, Leonard said, parents may need advice on getting their child back on a structured routine or “setting limits” for the child’s behavior. According to Naidoo, parents should understand their child “needs time to heal” — so pushing them to catch up at school or get back to normal activities is not a good idea. Children’s Hospital of Philadelphia has advice for parents on helping kids recover from an injury.